So, You Want to Buy a Shotgun? Shotguns, as a practical matter, have been perfected for over a century. Since the days of my great-grandfather, farmer and market hunter, George Chamberlain Wakeman, shotguns are no more reliable and no more dependable. Great-Grandpa, who I knew well, didn't take care of his guns very well. Yet, his Marlin .38-55 and Remington Model 11 still function today: after several lifetimes of use. My grandfather, Earl Spies Wakeman, had only one firearm that I'm aware of throughout his life: a Browning A-5 Light Twelve. It did everything, for when it is the only gun you have, it pretty much has to. My Dad saved up his paper route money when he was a boy and bought his first shotgun: a used 1897 Winchester pump. Dad was electrocuted courtesy of a 11KV high power line, 11000/415V, and the electricity entered through his left hand and exited the back of his head. It often kills you, but that wasn't the case with Dad. Living on morphine after skin grafts in the hospital, the doctors wanted to amputate his left arm. One doctor was adamant, though, that “We will not take that boys arm! We will wait until there is no other alternative, then we will wait a few days more.” Gangrene and resultant septic shock could kill you, of course, more so back in those days. But Dad loved to hunt, he loved his days on the farm and in the field with Great-Grandpa. The problem was, after his release from the hospital, his left hand was a claw, and he couldn't shuck his Model 97. So, it was semi-auto time, an A-5 standard-weight 16 gauge. That gun turned out to be a problem gun, for it baffled local sporting goods pro Hank Williams during several trouble-shooting sessions. It turned out to be tiny crack in the mainspring tube, but Dad moved on to an A-5 standard-weight 12 gauge that he hunted everything with for close to 40 years and that gun still functions perfectly today. Later Dad moved on to mostly 20 gauges and never looked back, except for waterfowl. Shotgun manufacture in 2018 is simple metal-forming. What has changed is the elimination of essentially all hand-work and hand-fitting from mass-produced guns, along with hand-checkering and hand-engraving. The difference in cost between so-called entry-level models and more upscale firearms is all finish. It is no different than an auto, where the difference between a $30,000 vehicle and a $45,000 vehicle is often just trim level, cabin materials, and accessories that have nothing to do with basic transportation. Though it isn't particularly romantic to admit it, most shotguns today are primarily made by machines, not people. Many are made from sourced parts, vendored world-wide. There isn't much difference in raw materials between brand names, for shotguns are both low-tech and low pressure. Shotguns today are a bit more reliable, but it isn't shotgun-related as much as it is ammo-related. 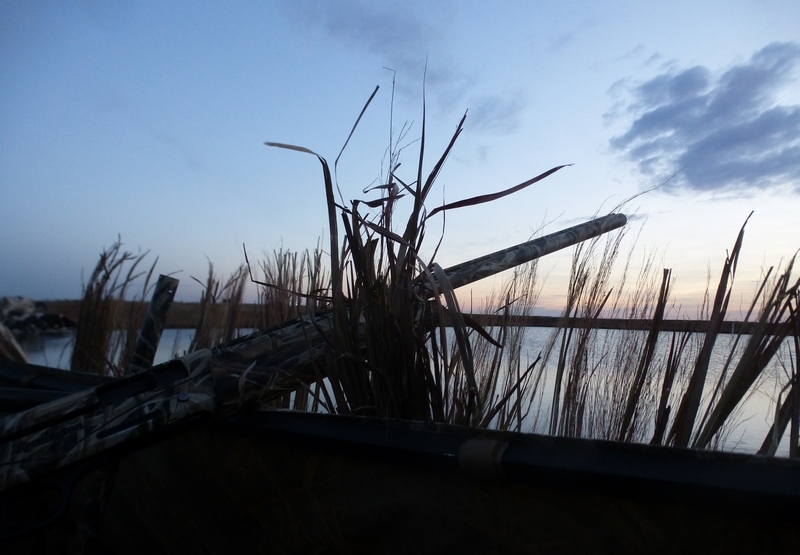 Hunting with paper hulls and fiber wads is long gone, for the most part, and that's a good thing for dependability. Once you realize that bore diameters do not matter, forcing cones don't matter, porting does not matter, barrel length doesn't matter (much), it is easier to make a new purchase consistent with what you are willing to spend. Recoil doesn't matter all that much either, for you are the one that selects the shells you are going to use. Of the common action types available today, only gas-operated shotguns help in the recoil department. Sure, recoil pads help as well, so do some of the plastic springy stock things, but that has nothing to do with the action type of the shotgun: they work for all of them. A shotgun that fits you better is normally more comfortable to shoot as well, but that is a separate issue from action type. Scientists from somewhere, sometime, proved that if the barrel is pointed in the right direction, it is called “what's for dinner.” Barrel length is no more important than the overall length of the gun, the length of the receiver, and so forth. Barrels don't have length in a vacuum: the stock, the receiver, and the barrel all combine to give you balance and swing qualities. Just because a barrel (or barrel set) has a certain length doesn't mean they have certain weight. Nor does it have any affect on patterns and scant little effect on velocity. Due to wad drag, 24 to 25 inch barrels produce the highest velocities with most loads. A 30, 32, or 34 inch barrel usually produces lower velocities, but not enough to worry about: 20 – 25 fps. Shorter-barreled repeating shotguns with 24 or 26 inch barrels are generally the faster-shouldering, better handling guns. Jack was quick to point up that the gauge of a shotgun doesn't mean much, dubbing the twenty gauge as the “Queen of the Uplands.” Gauge still doesn't matter much, but what does matter is sorely neglected and rarely talked about. It is range. Range is all the difference in the world. The complication is, upland hunting has no specific range. It could be a New England grouse at ten yards. It could be pass-shooting at dove at 55 yards and everything in-between. That's where all the notions of gauge, choke, and shot size get complicated, as no one really knows what in the world is being referred to when someone says they want a shotgun “for upland.” It could be spruce grouse in the timber, a dove at 60 yards, a dove at 15 yards, a turkey at 30 yards, or a rabbit at 25 yards. It could be a pheasant over pointing dogs at 20 yards or it could be a nervous, wary pheasant jumping and cackling at 45 yards. It is everything from a four ounce dove to a thirty pound turkey, with every increment in-between. This is, of course, a wonderful prescription for confusion reigning supreme, as rarely does anyone know what the other is talking about. You'll hear this constantly. What's a good load and choke for doves? Oh, you'll get advice, as in “I use a modified” but it has no foundation. The starting point is the ranges that you expect the pellets to hit the bird, without that primer there can be no rational discussion. You might be in a blind near a waterhole for very slow, close range work, you might be standing in a wheat field taking what comes, or you might be jump-shooting out of sunflowers. Who knows? Only the individual. Most of us don't pay great attention to range, but we should. A rangefinder has long humbled me, but more importantly is a constant training aid. If we don't get a grasp of ranges, we are often just making hulls. Jack O'Connor ordered his custom Model 21 twenty gauge in 1955, embraced three inch shells even back then, and felt that three inch shells made “a real duck gun” out of the twenty. Jack also wrote glowingly of the Federal Cartridge 1 oz. 28 gauge load introduced in the 1950s, that made a immensely practical pheasant gun out of the 28 gauge at 30-35 yards. Jack's observations about barrel length were a bit ahead of its time, as he wrote that most upland pumps and autos would be far better handling guns with 23-24 inch barrels, and he preferred 25-26 inch barrels on his doubles as well with a nod to the Churchill 25 inch light twelves. Where is your coffee-maker made? Your smartphone, your PC, your clothes, your socket set, your car? Country of origin means little, for there is low-quality American-made stuff, low-quality Italian fodder, and low quality German product as well. Price is just what you pay, but value is what you get. If you pay for overpriced junk, of course that is exactly what you get. Sure, there is the notion of “German Engineering.” When that German engineering is committing fraud against the United States, specifically in the case of Martin Winterkorn, the former chairman of the management board of Volkswagen AG (VW), with conspiracy and wire fraud in connection with VW’s long-running scheme to cheat U.S. diesel vehicle emissions requirements, that's not the German engineering many were hoping for. When Japan's Taka Corporation's airbags resulted in the recalls of 42 million vehicles after countless injuries and deaths, that isn't the type of Japanese quality we prefer. Beretta finally got around to making their first pistol in 1915. The Beretta M1934 was made in the Fascist era (1922 -1943), and some today still won't buy Beretta because Beretta made too many firearms for Hitler. People gave their reasons. Regardless of who makes it or sells it, there is no such thing as a premium blow-molded thermoplastic stock, a premium matte finish, or a premium fake enhanced wood finish. These things may be important to you or they may not, but there is no easy way around unfinished or weakly and erratically finished parts. It gets the cost out of the product, but the label on the outside does not add any value or desirability to what it actually is. How well it is made is far more important than where it is made. There are many repeating shotguns that are as reliable as the ammunition we feed it and our maintenance practices allow them to be. That is of small consolation if we don't like the controls, find it awkward or painful to load, cannot stomach the looks of it, or don't care to pay the price. Many years ago, I mentioned in casual conversation (to my mother, of all people) that I decided I had a few more 20 gauge shotguns than I actually needed. Mom asked how many I had: at that time, it was seventeen. “What in the world do you need 17 20 gauges for?” Mom asked. “Well, you wouldn't want your son to be unarmed, would you?” was my cheery reply. I've been on a 20 gauge austerity program since then, and now have only seven 20 gauges, the bare minimum for my uses, for while they all do some things superbly well, none of them do absolutely everything absolutely perfectly for all applications. Shotgun selection has more than just one right answer. Tastes and preferences change and mature over time: buying a shotgun is a reversible situation, as your preferences and uses change, and new models appear that you personally might find appealing. For upland hunting, there are several models that are worthy of consideration. The Fabarm L4S 12 gauge has been my personal favorite ever since it was released. With a 26 inch barrel, the L4S carries and handles extremely well at 6-3/4 lbs. Every time I make a suggestion I try to add potential negatives. With the Fabarm L4S it isn't easy, but I'll try. The L4S is soft-shooting as it is gas-operated, but certainly not as soft-shooting as a 9 lb. gas-operated shotgun. Perhaps the only negative is that the L4S series are all walnut-stocked guns, and might not be what you are looking for if you use a shotgun as a canoe paddle. You might laugh at this, but some do regularly paddle with shotguns. The Retay Arms Masai Mara, made in Turkey, has been a pleasant surprise. You'll not find a better looking shotgun for $900 than a Masai Mara Jet Black with its excellent walnut and polished blue barrel. With a 24 inch barrel, my preference, it is 6-3/4 lbs. as well. Inertia guns do have more recoil than gas guns, but they also need less cleaning which is part of the appeal. The Masai Mara has easier loading than standard Benelli's and improve upon the basic inertia fodder with elimination of the Benelli click and they also do not have the point of impact problems of many Benelli-stamped shotguns. For the duck blind, a camo Remington V3 (7-1/4 lbs.) is both an excellent choice and easy on the wallet. It is a bit heavier than the L4S or Masai Mara, and it isn't as well finished. However, it is easy on the wallet, has less recoil with common 1400 fps 1-1/4 oz. duck loads, and you can paddle with it as well without having much concern. The Remington V3 roller trigger is outstandingly good and it can go a very, very long time without cleaning the gas action: it is as close to self-cleaning as a gas action has ever gotten. 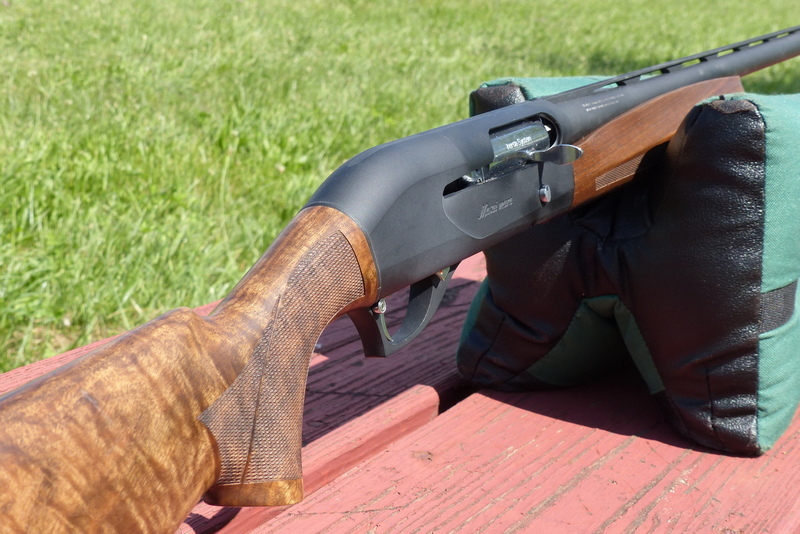 If you break more clays than hunt, or rarely hunt at all, a heavier gas gun is more pleasing. I am impressed, to say the very least with the Fabarm L4S Sporting (7-1/2 lbs as tested) and, as a budget choice, the Remington V3 walnut (also 7-1/2 lbs.) is the gun to beat for low dollars and high utility. Certainly, the Fabarm L4S Sporting is the better finished gun, with shims, a tapered rib, etc., as well as better walnut and engraving in the L4S Grey Sporting and L4S Deluxe Sporting trim levels. I like somewhat heavier guns and somewhat longer guns (with a bit longer barrels) for primarily clay target usage. Balance is still important, but if you shoot premounted than shouldering dynamics isn't the factor that it is when hunting flushing game. Tastes change over time as do the types and amounts of shooting you may do. Very few people today with an active interest in hunting and shooting settle for just one or two guns over the course of a lifetime: the “lifetime gun” is more myth than reality. As your preferences change over time, so does the type of equipment needed to best satisfy those personal tastes.